Are you the type that likes to buy a book just to hold it, feel it, turn the pages and take a deep sniff to imagine where it's been? If books are the source of your imagination or if they're a crucial part of your existence, we've found a place that gives you so many varieties to choose from. Read on. Walking down Nehru Road in Vile Parle East, we came across a huge store that's full of books, till the outside, so much so that they've had to build an extension till the pavement to stock books of all kinds here. 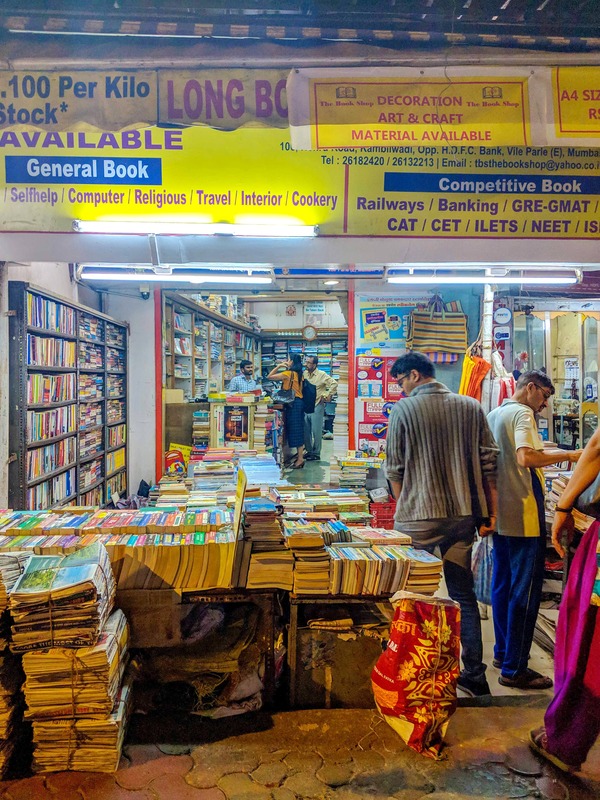 Called 'The Book Shop', this 30-year-old store is divided into two parts - one, where you'll find secondhand books at the entrance (all genres) and as you walk into the store, you'll find categories (children's books, meditation, art, romance, Marathi books - you name it) with new books that you can purchase. The books outside are a part of a library, where you can borrow books at a minimal cost and return it in 8 days' time. Apart from this, the store also houses stationery and craft materials in case you're peckish for some sort of creativity to go along with some intellectual stimulation. Then right next door is their text bookstore, where you get college textbooks of every kind. We're dead serious. If you're looking out for a book, make sure to give these guys a call and they'll sort you out. You can buy books for as low as INR 50 from the store and you can even donate your books here so that you can help others improve their own collection. A couple of years ago, we managed to pick up a bunch of Asterix comics from here and have it to this date. You can sometimes run into a classic that you might not find in a regular store. You'll need to spend some time browsing your heart out for some unique pieces to add to your collection. Apart from that, the staff is helpful and will guide you in case you're a little lost rummaging for personal treasure.